Is Your Body Language Helping or Confusing Your Animal? By Jennifer Cattet Ph.D. To read this article, please click here. This article is selected and posted by our Tutor Team. Jennifer Cattet, the author, is not a tutor at Ethology Institute. 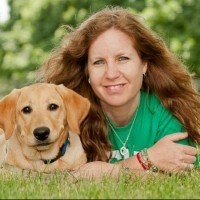 Jennifer Cattet, Ph.D., has been training dogs professionally since 1984. Her career as a dog trainer started with traditional training techniques, which were the only methods available at the time. Frustrated and concerned with the effects such methods had on some of the dogs and on their relationship with their owners, she went back to college and studied Psychology and Ethology (animal behavior) at the University of Geneva, Switzerland (she spent most of her early years in France). After her bachelor’s degree, she worked as the Assistant Professor in the Ethology Department and completed her studies with a doctorate on spatial navigation in dogs. Canine Scent Detection Canine Scent Detection is the same course that Roger Abrantes gives to law enforcement officers, from the acquisition of indication behavior (alert) and target scent to the indication of a hidden scent target. One-on-one tutor support. The importance of self-confidence in animal training is much greater than you might think. All animals, including dogs, react much better to our body language than to sound signals. If you behave self-confidently—not arrogantly or aggressively— your dog will look at you, listen to you, and follow you more readily. We have seen that numerous times in classes and workshops. In the movie, did you notice how a simple change in the way the owner gives the signals makes the whole difference? The signals, before and after, are roughly the same. The only difference is the self-confidence with which the owner gives them. To improve your communication and relationship with your dog, please see our course Ethology and Behaviorism. Read also the article “The Importance of Confidence in Animal Training” by Roger Abrantes. “The Belly-Button Routine” got its name from the fact that Roger Abrantes keeps his right hand holding the lead right in front of his belly-button. The only movement he makes with it it’s down and up, respectively when he stops and when he resumes walking after a stop. Be aware of where your right hand holding the lead is. We don’t want you or the dog to jerk it. Notice how Professor Abranteswalks slowly forward and back, keeping a steady rhythm and changing direction very clearly, giving the dog a fair opportunity to follow him. Sometimes, he stops, and the dog must stop as well. Depending on what he ask it to do, it may sit, stand or down. He calls this drill the kata* of dog training. Once you can do that to perfection, varying the form of the signals between hand, sound, body, and facial, you can teach your dog all you want, and a dog can learn. 1 – The few signals Abrantes uses. 2 – No repetitions of signals and no yelling. 3 – The consistency in the form of the signals. They are the same, every time, independently of whether he uses a sound, a hand or a body signal. 4 – The consistent and regular use of the semi-conditioned positive sound reinforcer: He says ‘dygtig.’** In SMAF: “!±sound”(dygtig). (You may have to turn your sound up to hear some of them because he whispers them). 5 – The immediate use of the inhibitor ‘ah’ when the dog shows an undesired behavior. In SMAF: [!-sound](ah). 6 – The eye contact he maintains with the dog when he asks it to do something. 7 – The few treats he uses (compared to the majority of trainers). He uses them strategically to reinforce some behaviors on specific circumstances. 8 – The contact he establishes with the dog during the performance of the drill. To learn more about creating an effective communication and a sound relationship with your, please see our course Ethology and Behaviorism. * Kata (型 or 形 literally: ‘form’) is Japanese and designates the detailed choreographed patterns of movements practiced either solo or in pairs. Many traditional Japanese arts use kata, such as theatre forms like kabuki, and schools of tea ceremony (chadō), but are most commonly known for their use in the martial arts. ** “Dygtig” [ˈdøgdi] is a Danish word and means “clever.” It is, apparently, a good sound as a reinforcer, Abrantes discovered many years ago. Dogs react much better to our body language than to sound signals. We talk too much! It all depends on your body language, not what you say. If you look at your dog all the time while you’re walking, you are assuming full responsibility for who follows whom. The dog will pull the lead, then—and rightly so, because it is your duty to follow, not your dogs. Yes, it is a lead, not a leash. You use it to lead the dog, not to leash it. Allowing the lead getting tight sometimes, does not equal to being a cruel dog owner. It amounts to allowing your dog to solve a problem for which it has more than enough intelligence to do. One thing is your dog pulling the lead and feeling uncomfortable by doing it. A completely different matter is you pulling the lead. The former teaches the dog to keep an eye on you to avoid discomfort. The latter only teaches the dog that you are an unpredictable person one cannot trust. Your body language is crucial. In the movie, did you notice how the simple and clear body signals and facial expressions, and moving rhythmically, appear to perform miracles? This only five weeks old Guinea pig learned to discriminate and indicate a specific target-scent after three days of training. Yes, it does not take long if you do everything correctly, starting with creating a relationship with the animal. You can learn all about scent detection in the course Canine Scent Detection. We used the same method and precisely the same procedures as for dogs. We only had to adjust our signals, reinforcers, and inhibitors according to the species. If you are a student, pay attention to details in the movie so you can answer the two questions in the quiz below. “Guinea Pig Scent Detection—Three Samples Double-blind Test” shows the result after three days of training with a six-weeks-old Guinea Pig. We went a step further than our usual two samples test, and we succeeded without any problems. Notice the calm with which the trainers handle the Guinea Pig and the whole situation. In the first test (two-samples), the GP takes its time for the reasons you will see. Keeping calm and collected and giving the GP the time it needed was undoubtedly the best strategy. How could we achieve such results after only three days? By proceeding stepwise with a Swiss watch precision, from creating a relationship with the piggie, to teaching it the desired indication behavior, target scent and so forth. Interested in scent detection. 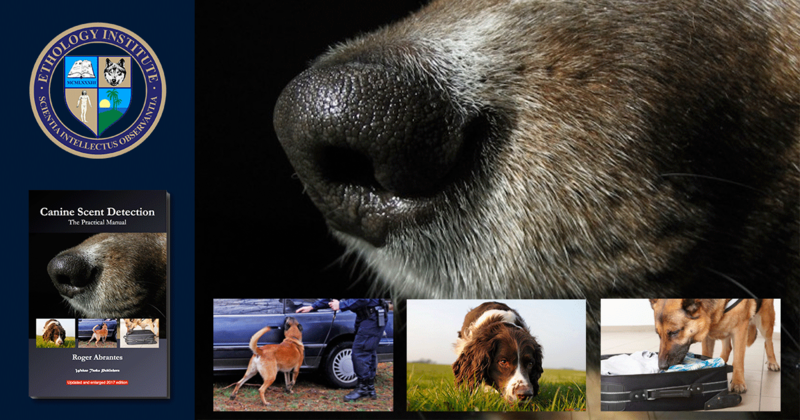 Take a closer look at our course Canine Scent Detection. You’ll be surprised to see how far we can get if only we care to study behavior and learning scientifically. Our approach is unique and so are our results. “Scent Detection Memories from Germany” shows you yet a CSD workshop—a memorable one, though. All teams, 11 in total, passed the double-blind test after three days of training. One even succeeded in teaching the dog to identify and indicate a second target scent in only 21 minutes. 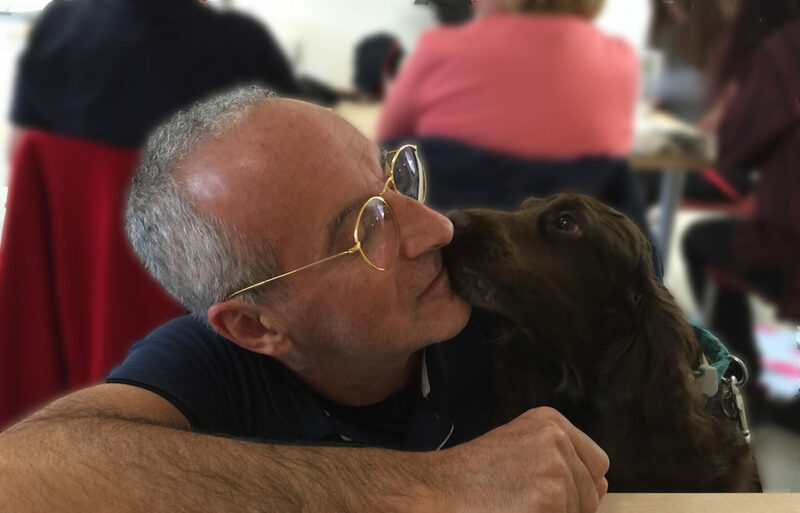 Our state-of-the-art scent detection procedure (devised and developed by Roger Abrantes throughout the years), does not need any further proofs that it works to perfection! The second target scent is not as difficult for the dog as it seems. Provided the handler taught the first one correctly, the dog will have no difficulty in adding the second one to its repertoire of reinforcer-giving stimuli. All the hard work (where precision is crucial) is at the beginning of the learning process, starting with teaching the dog to show the correct indication behavior (commonly called ‘alerts’). The scent discrimination in itself is no problem for the sharp nose of the dog. Pay attention to the movie so you can answer the quiz questions and earn study credits (if you’re a student). Check also our Canine Scent Detection course and learn about our unique CSD learning procedure. “Horses—Back-up from Behind” shows you the importance of clear and uniform signals and reinforcers and the use of auxiliary signals. The trainer, Tilde Detz-Jensen, a tutor at the institute, does not make one unnecessary sound or hand movement. The auxiliary signal, one we remove as soon as possible, is the Back-up signal consisting in pulling the rope ever so slightly. Technically, that is a positive inhibitor that, when removed, becomes a negative reinforcer. With repetitions, it becomes a signal (SD) for the horse, not an aversive any longer. We associate it with the signal Back-up employing sound and arm movements and remove it when it is no longer needed. Voilà, as simple as that! The odd-looking annotations you see running in the subtitles is SMAF, a language to describe learning. You can learn more about that in our course Applied Animal Learning. Michael Gold and Roger Abrantes captured the footage shown in this short video while performing various marine biology environmental management tasks. Our oceans cover more than 70% of the Earth’s surface, and the majority of life on Earth is aquatic (94%). We have explored less than 5% of our oceans. According to the World Register of Marine Species, there are 240,470 accepted species, a small proportion of the species that exist, with explorers discovering new marine life almost every day. There are also more historical artifacts under the sea than in all of the world’s museums. We estimate that between 70 and 80% of the oxygen we breathe is produced by marine plants, nearly all of which are marine algae. Taking care of our oceans seems to be a top priority. This video shows a bit of our training of a dog to find and bring the cellphone to the owner. We did it stepwise as you will see. The task is more complex than it may appear at first because it involves two different aspects. (1) to find the cell phone, to which we applied our proven scent detection procedures. (2) to bring it to the owner, which was ultimately a question of teaching the dog to retrieve. We started with the latter because we wanted to be in a position to reinforce every time the dog found the cell phone. Then, the dog would handle it correctly as we taught then, i.e. would pick it up carefully and would bring it to the owner. Otherwise, we could easily create undesirable behavior by reinforcing the dog finding the phone but handling it incorrectly. Beware of undesirable habits that you will have to extinguish later (in this case, for example, biting the phone, dropping it, playing with it). In other words, the retrieving behavior had to show satisfactory and reliable results before we could start with the searching part of the task. Equally, in scent detection, we want the indication behavior to be reliable before we embark on the scent discrimination proper. We did it in three days with approximately four hours of efficient work each day. We planned the whole operation to the last detail before we started. 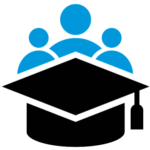 If you’d like to know more about planning training and creating a POA (Plan of Action), please look at our course The 20 Principles All Animal Trainers Must Know.